Through a strengths-based approach, I partner with organisations to develop inspired leaders, an engaged team culture and sustainable change. The CliftonStrengths themes, framework and language connected with me the moment I discovered my top 5 strengths over 7 years ago. I connected with the intent of CliftonStrengths and the work of Don Clifton in embracing what's right about ourselves and the people around us. I love sharing my insights and learnings from over the years that have helped me as a manager, coach, facilitator, parent, and partner with others to help them be the best they can be and be in a state of flow. I have 3 wonderful kids, I work with my partner Tammy Guest in helping traditional health practitioners grow their businesses (which includes our bi-annual Bali immersion) and I love mountain bike riding! 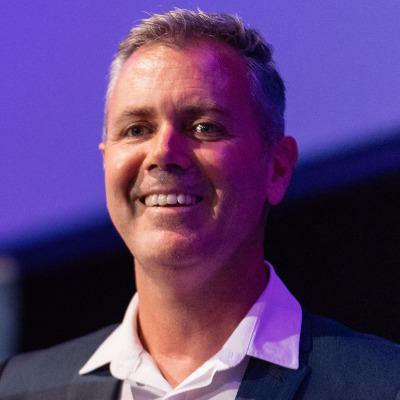 Murray Guest is one of Australia’s leading Strengths coaches, helping over 1,200 people unlock and apply their strengths to achieve their professional and personal goals. As a Gallup certified Strengths coach he partners with organisations to build strengths-based cultures and realise the benefits a strengths-based approach brings. He has been involved in organisational culture change for over 18 years and brings a wealth of knowledge and insights into what makes culture change stick. The founding director of Inspire My Business, he combines his diverse experience in HR, QA and Business Development to inspire leaders and their teams along the pathway of change and continuous improvement. His recognition includes one of only two coaches to speak at all three of the Gallup Strengths Summits in Omaha and receiving the HMA Excellence in Training Award for leading significant improvements as the Learning and Development Manager of Tomago Aluminum. Murray provides strengths-based insights and actions to help your teams truly understand and apply their strengths, with all the personal and business benefits it brings. His passion for people getting to do what they do best every day comes across in his coaching and fun, interactive and engaging workshops. Traveling from Newcastle, NSW, Murray is available for consultation, coaching, facilitation and speaking engagements.